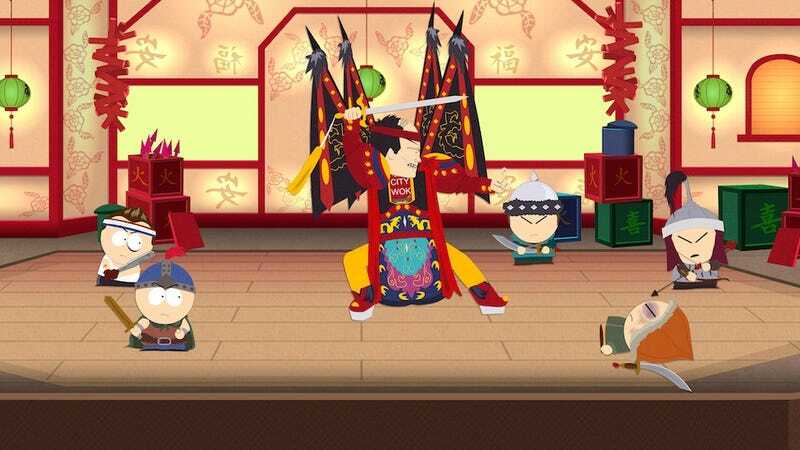 We here at Kotaku are pretty darned excited about the upcoming South Park RPG South Park: The Stick of Justice. THQ has sent out four new screenshots of the game, including what looks like a boss battle against Mr. Kim, the manager of the oh-so-humorously mispronounced City Wok. Good times.